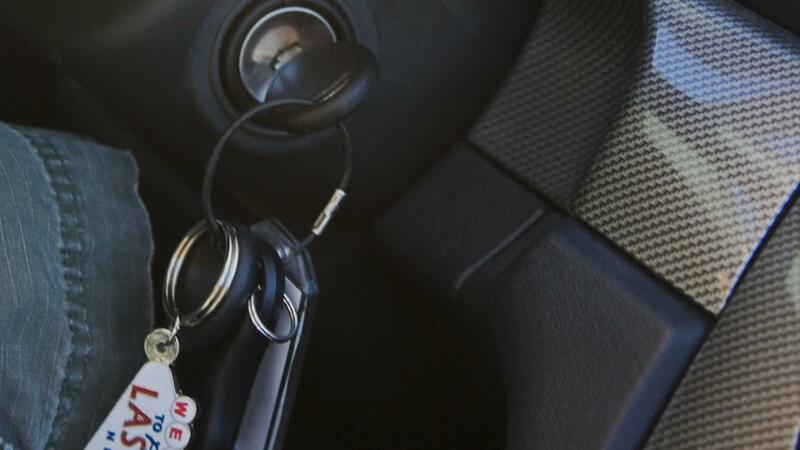 Numerous problems with a car can cause a key to get stuck in the ignition. A steering lock that needs a slight turn or is broken can cause a key to get stuck. Dirt or lint blocking the ignition opening, a faulty key or a damaged ignition lock cylinder can also cause this problem. A steering lock is a safety device that prevents the wheel from turning fully. A key can become stuck if the steering lock is turned slightly to an unfavorable position. In this case, the steering wheel needs to be placed in the proper position to deactivate the steering lock and release the key. If the steering wheel turns, the problem is not with the steering lock. Lint or debris can block the ignition cylinder. Spraying small amounts of electrical cleaner into the ignition and gently sliding the key in and out may fix this problem. They key may also be damaged or bent. Wiggling the key or turning it slightly before pulling may help remove the key. If the key is damaged, a locksmith can machine-cut a key that recreates the original factory key as opposed to making a duplicate of the faulty key. The problem can also be due to a faulty ignition lock cylinder. Many ignition lock cylinders last for about 60,000 miles, but some fail much sooner.